We are introducing this new monthly blog feature dedicated to showcasing the best in Mitch-Stuart, Inc. travel to get your wanderlust wondering about wonderful excursions! 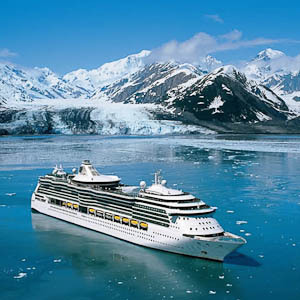 This month�s destination spotlight is our seven night cruise vacation aboard the Royal Caribbean International to Alaska�s Majestic Frontier. Drink in the splendor of the seas as you make your way along the Alaskan coast, in and out of passages, past fjords, and miles and miles of wilderness. With ports such as Seattle and Victoria, British Columbia, Royal Caribbean showcases the quintessential character of the Pacific Northwest. The trip for two includes a seven night stay on the Royal Caribbean International in a Veranda Stateroom, gourmet meals, spas at sea, daily entertainment, and a range of shipboard activities. 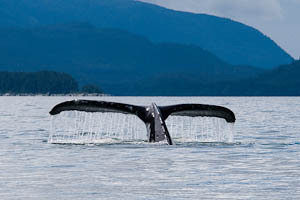 The itinerary includes Vancouver, British Columbia; Inside Passage (cruising); Juneau, Alaska; Skagway, Alaska; Tracy Arm Fjord, Alaska; Ketchikan, Alaska, and Seattle, Washington. Some exciting experiences available at the ports include Alaskan salmon fishing, helicopter rides to view the glaciers, whale watching, polar and grizzly bear sightings, mountain climbing, and zip lining. 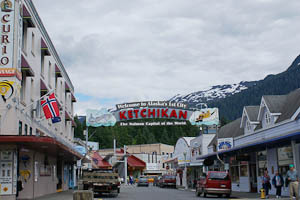 One of the stops Skagway, Alaska offers a frontier atmosphere with saloons and dance hall. The Seattle stop offers lots of hiking, biking, and hitting the observation decks to see some of the amazing views. 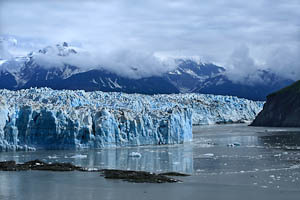 You will view the most dramatic Alaskan glaciers while passing through the Tracy Arm Fjord, as well as the Hubbard Glacier, one of the fastest moving glaciers on the continent, while aboard this Alaskan cruise. From the vastness of the glaciers, to the unique scenery and wildlife, this trip will really let you explore the wilderness. With such large territory to explore, the experts at Mitch-Stuart, Inc. provide the opportunity for visitors to make the trip their own and make it unforgettable.